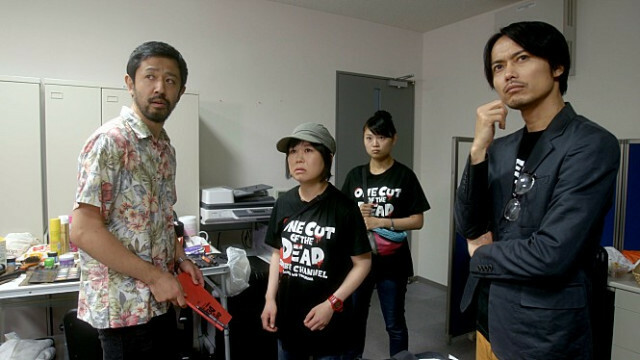 Ueda Shinichiro’s One Cut of the Dead was a highlight of the recent Japanese Film Festival in Melbourne, and possibly my favourite film of the year. It’s a budget horror flick, a movie about movie-making, and a sweet story about the shared love of things that can bring people together. Opening with Director Higurashi making a low budget zombie movie in a spooky abandoned facility, the film quickly takes a turn as the cast find themselves under attack by “real” zombies. He sees this as an opportunity to get genuine emotion and real horror from his cast so he will not stop shooting and actually pushes the actors into more peril. Bloody, profanity laden, decidedly B movie, unintentionally funny, the story speeds to its conclusion. All in one epic 37 minute take. But then the clock winds back and we get to see how Higurashi and his crew came to be in this place, all the planning and preparation for their movie, and what motivated them to do it. And finally, Ueda takes us back to the day of filming, but this time we see the things happening on and off camera and what that means for Higurashi and co. 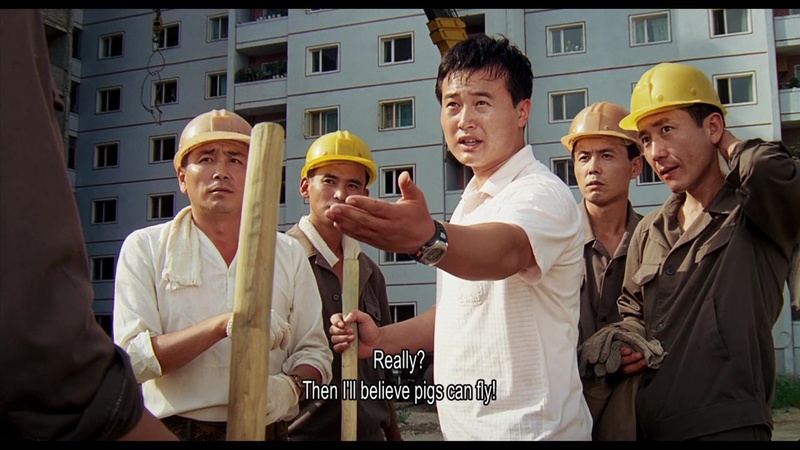 The director Higurashi is completely over the top, threatening his performers and demanding they keep filming even when their life may be at risk. He has one shot at making the film and will do what it takes to deliver. 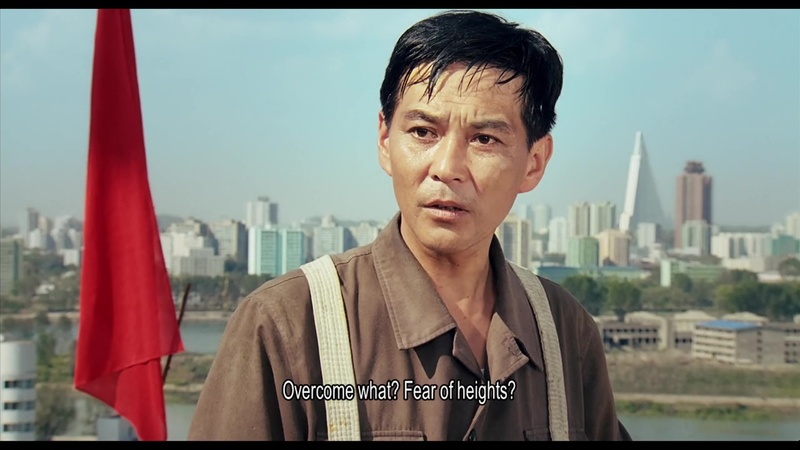 I really enjoyed Takayuki Hamatsu’s performance as he would swing from politely earnest to literally spitting with rage and back, all in the service of his film. 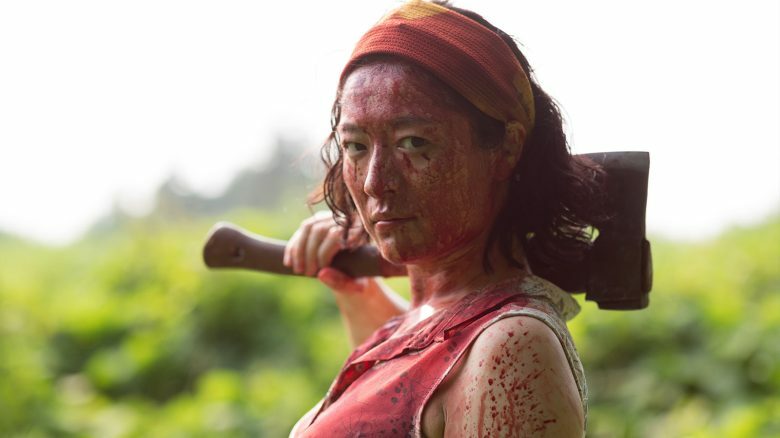 His relationship with his sulky teenaged daughter Mao (played by Mao) and retired actress wife Nao (Shuhama Harumi), who are both on the set, gives the film an unexpected sweetness amidst all the gore and dismemberments. 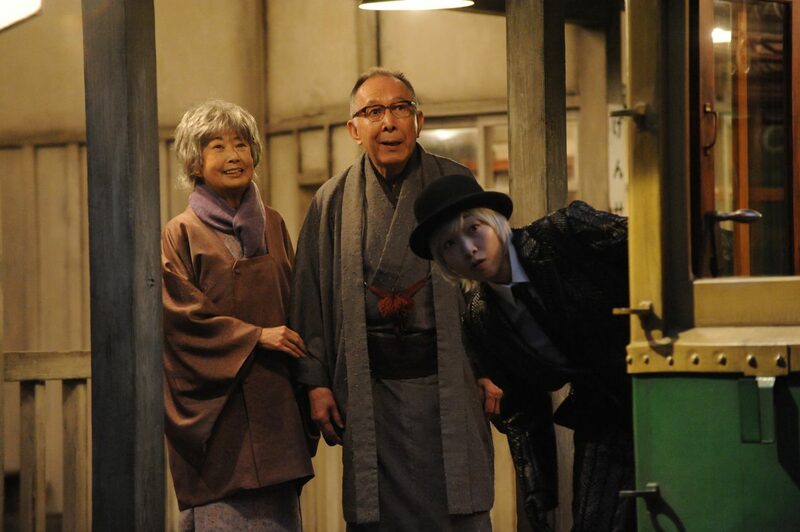 Akiyama Yuzuki and Nagaya Kazuaki play Chintatsu and Ko, the stars of the film. I enjoyed their deliberately bad acting in the movie within the movie, and the contrast with their vacuous celebrity sides. When things started to go awry they were the least prepared and therefore, among the funniest. Shuhama Harumi’s Nao is a walking cliché in some respects, intoning warnings and urban legends straight out of every other horror movie. Her hobby and practical application of her skills almost brought the house down, and her character really comes to life in the latter part of the film. The rest of the cast includes stock types like the has-been actor who drinks to steady his nerves, the goofy AD who never challenges an order, the finicky cameraman, and his enthusiastic assistant who just wants a chance to try her style. Things move at a frenetic pace but there are beats where you can simply enjoy what’s going on before plunging back into the thick of it. I was constantly delighted by small details like the appearance of a hankie wiping blood spatter off a lens as the cameraman gamely ran in pursuit of a screaming actor and zombie. The narrative structure is brilliant and the editing is timed to perfection. Things that looked like bad acting or glitches in the movie might later be seen in a different light and instead make you want to cheer for this game little bunch of movie crazy people. The jokes were sometimes funnier from the second perspective too, which is quite an achievement. Dolly Parton once said it takes a lot of money to look this cheap. Ueda Shinichiro has managed to make a highly technical and polished film look like it was made on a shoestring, but in a good way. It’s a tribute to the spirit of making do. I flinched, I groaned, I cheered, I laughed so hard I cried. If you can stand a lot of swearing and fake blood splashing around, see this. 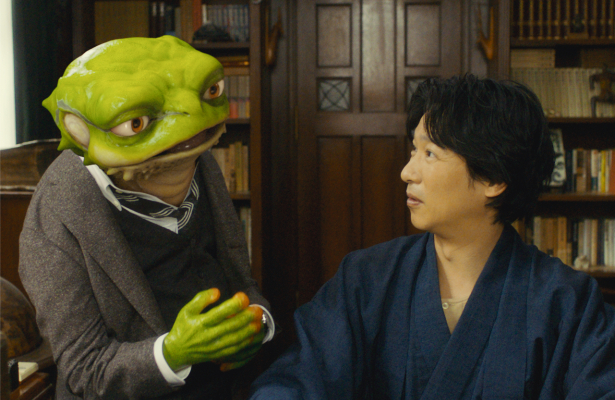 The Japanese Film Festival is on in Melbourne and I’ve found lots of gems to enjoy in this year’s programme. 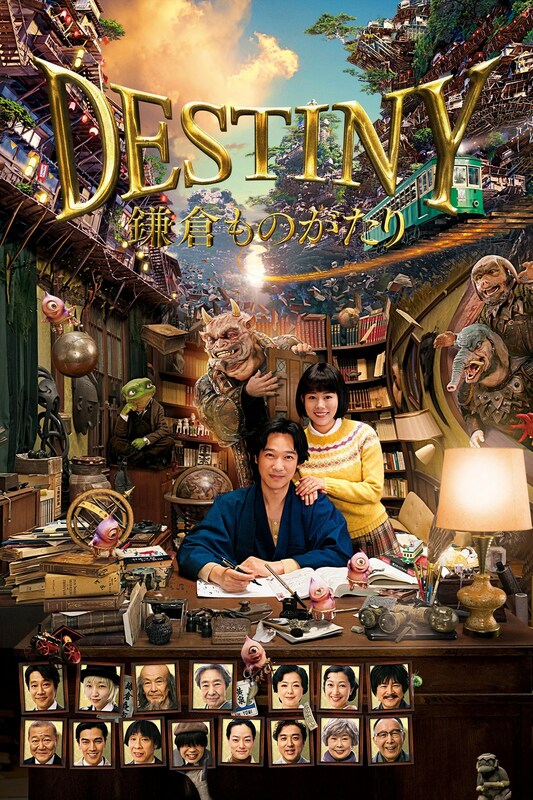 Yamazaki Takashi’s adaptation of Saigan Ryohei’s manga, Destiny: Kamakura Monogatari, is beautifully odd and charming. Akiko (Takahata Mitsuki) moves to Kamakura after marrying Isshiki Masakazu (Sakai Masato), a popular author. The town is unusual, and there are supernatural creatures living alongside the human residents. Akiko is a high spirited and curious young woman, and she generally enjoys her new home and the strange goings on. However an entity from the underworld takes an uncomfortable interest in her, a bad luck god sneaks into the house, and things start to go very wrong. She is separated from her husband all too soon. But Masakazu is Kamakura born and bred, is matey with a grim reaper, and he finds a way to travel to the underworld to rescue Akiko’s spirit. The film is as much a rom com as it is a fantasy. Akiko is quite a bit younger than her husband Masakazu, and she is worried she won’t be able to be a proper wife to a fancy author. He is a little worried about his precarious work situation, how she will settle in, and if she will be able to deal with the supernatural. They are both quirky characters and the actors sometimes go for energy over subtlety. But I was won over by their mutual affection and sense of fun. Sakai Masato is wry and charming, unless Masakuzu has a deadline. Then he becomes a panicky work avoiding child, obsessed with toy trains. Masakuzu also has a side line in helping the police with hard to solve cases, and they act as small episodes within the story, showing more about the village and how things operate between the communities. Akiko learns some household tips from elderly and enigmatic Kin (Nakamura Tamao) and finds out more about the mysterious side of Kamakura. She is generous and impulsive, and that is both a curse and a blessing, quite literally. Takahata Mitsuki plays Akiko as wide eyed and a bit too perky, but she has an endearingly goofy energy that plays well off her co-stars. I particularly enjoyed the quieter scenes between the couple when they were just happy to be together, and the warm contentment was palpable. She wants to do the right thing for her husband and that gives her strength to make some hard choices. And when they are separated, she stays strong because she has faith in their love. 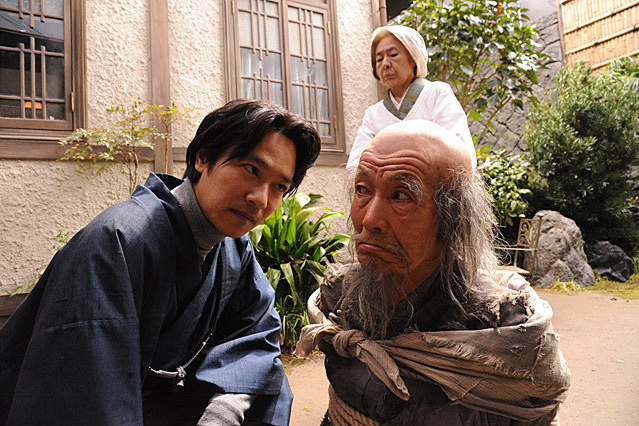 I liked Ando Sakura as the administratively overwhelmed and under-resourced grim reaper. It’s quite a change of pace from her amazing performance in Shoplifters (the film that had me crying in public at MIFF earlier this year). This grim reaper is kindly disposed towards humans, fancies clothes at the more garish end of the all black wardrobe spectrum, and seems to enjoy having local celeb Isshiki Masakuzu as a new friend. Masakuzu’s mate Honda (Shinichi Tsutsumi) strikes a deal with her and his story takes quite a turn. Again, his story is about family and regrets as much it is about magic or gods. The bad luck god Binbogami (Tanaka Min) is loud and blustering but develops a soft spot for Akiko who treats him like a welcome guest. Guests are god, after all. The visual effects are often jawdroppingly lovely, and I think anyone would want to go to Kamakura as a result. 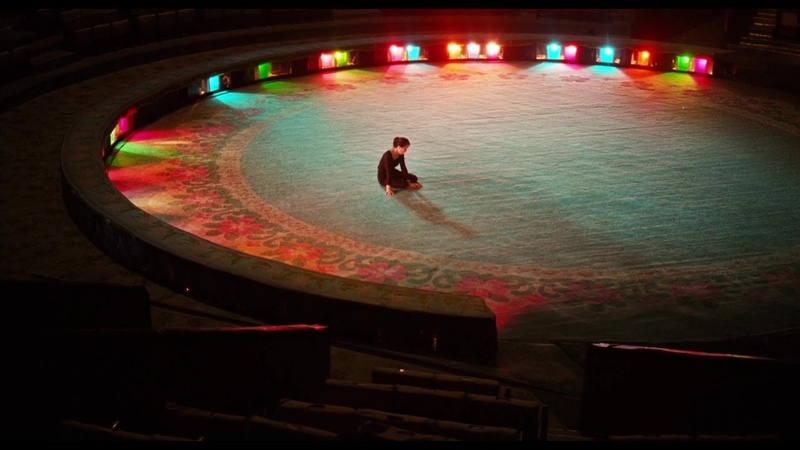 Every shot counts, and some things that seem to be a bit of whimsy become more meaningful later in the film. Scenes at the Goblin Market were both magical and relatable, with a blend of real world and supernatural. Little creatures scuttle in the background, or ramble around in Akiko’s garden apparently unnoticed and unremarked. 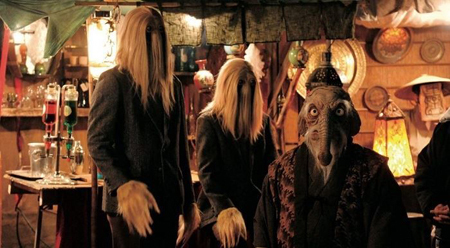 The yokai can look very elaborate and non-human, but some blend in quite well unless they choose to reveal themselves. The underworld is where the effects skills get a serious work out, creating a vast expanse of structures and landscapes with incredible detail. 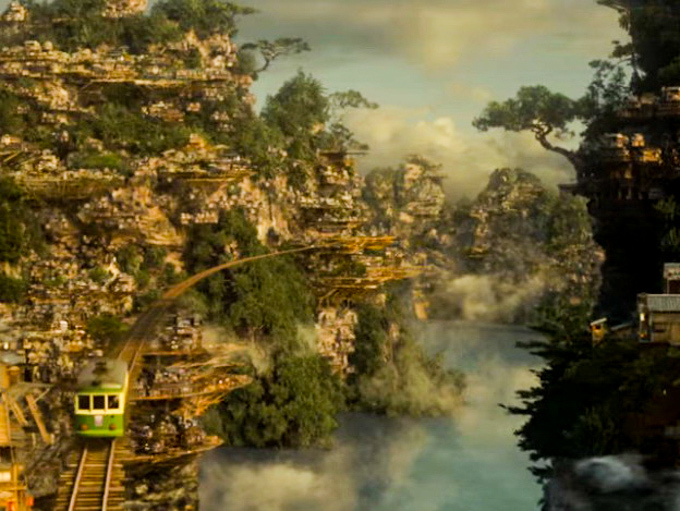 I love that they catch a train to get there, and the journey on the way in was gorgeous. Getting out was a bit less relaxed! I was in the right mood for a feel good film with tons of charm, and this was perfect. 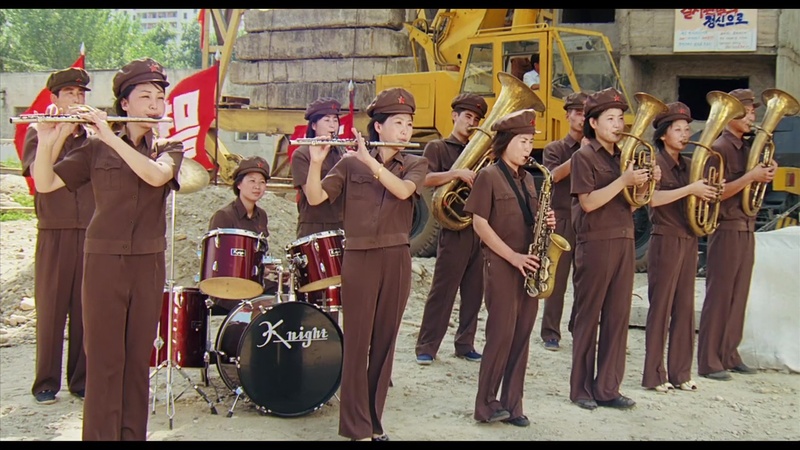 Who says North Koreans can’t have dreams and be fun? 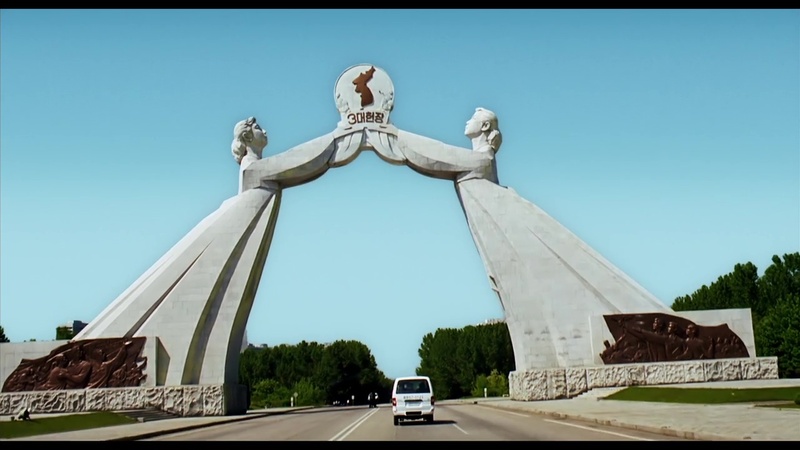 The film is a European-DPRK co-production, directed by Kim Gwang Hun, Nicholas Bonner and Anja Daelemans and written by Sin Myong Sik and Kim Chol. 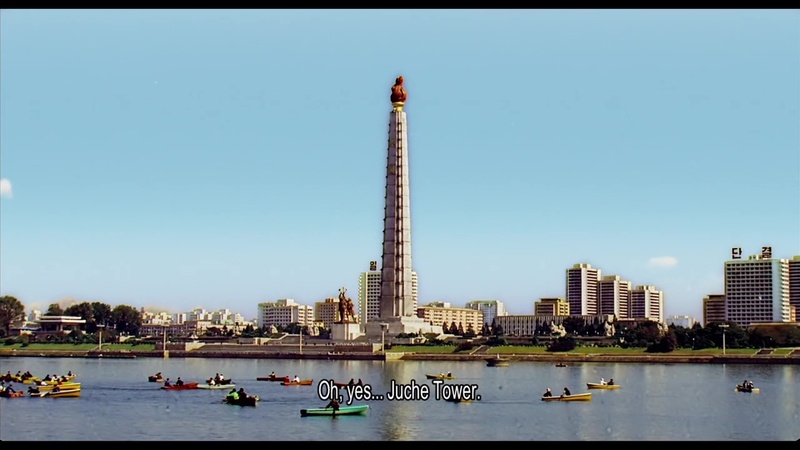 The film is shot in the DPRK, mostly Pyongyang, and stars a North Korean cast. 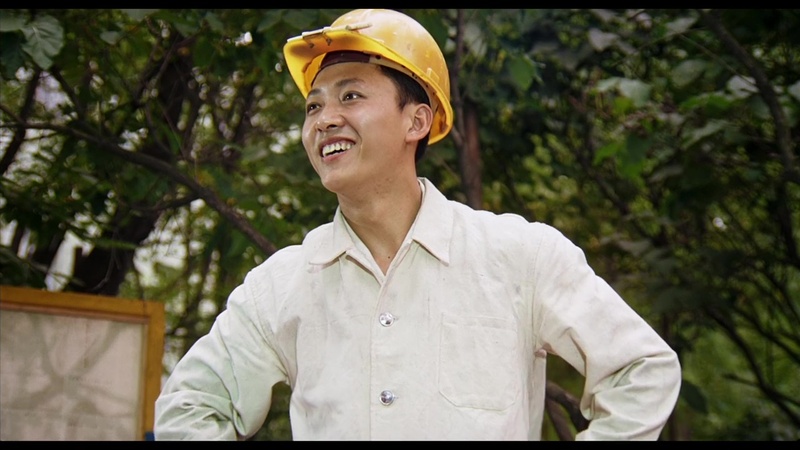 Kim Yong Mi, the titular Comrade Kim, works at a coal mine. She’s an enthusiastic worker but her true passion is acrobatics, specifically the trapeze. 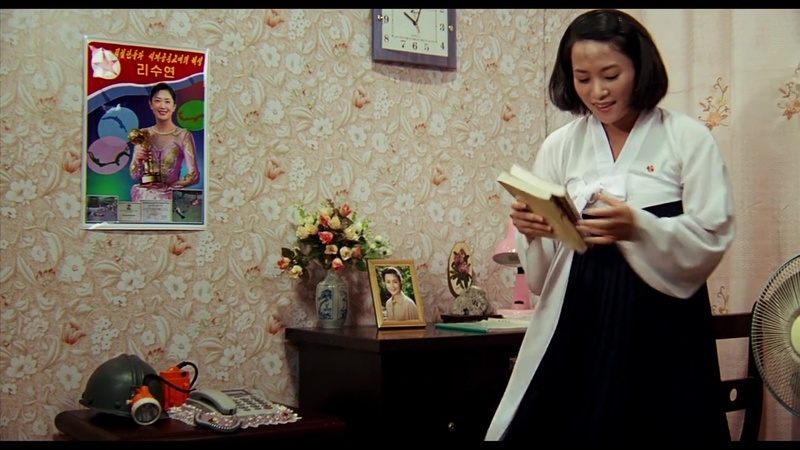 She admires Ri Su Hyon, a famous performer at the prestigious Pyongyang Circus. 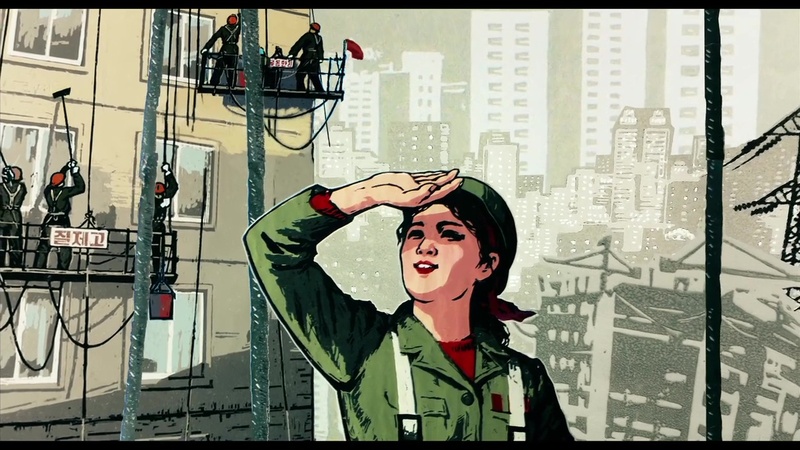 When Yong Mi gets the opportunity to work in Pyongyang for a year, she not only gets to see the circus, she decides to try out at an open audition. She meets many set backs – including her unexpected fear of heights and some snobbery among the other trapeze artists – and ultimately fails the test. But she also finds great support from her fellow workers, and honestly has the best boss ever. She works hard, puts on a show at the Workers Festival for her construction unit and just as it seems she might get another chance at her dream, her year is up and she returns home. Will Yong Mi’s father let her go back to the big smoke? Will judgemental Pak Jang Phil realise she is the perfect replacement for Ri Su Hyon? 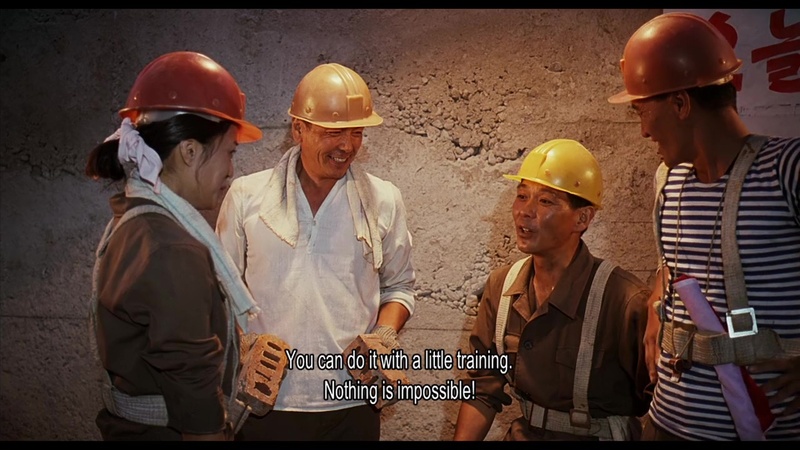 You betcha, and the training montages come thick and fast. But will she ever master the legendary quadruple somersault? 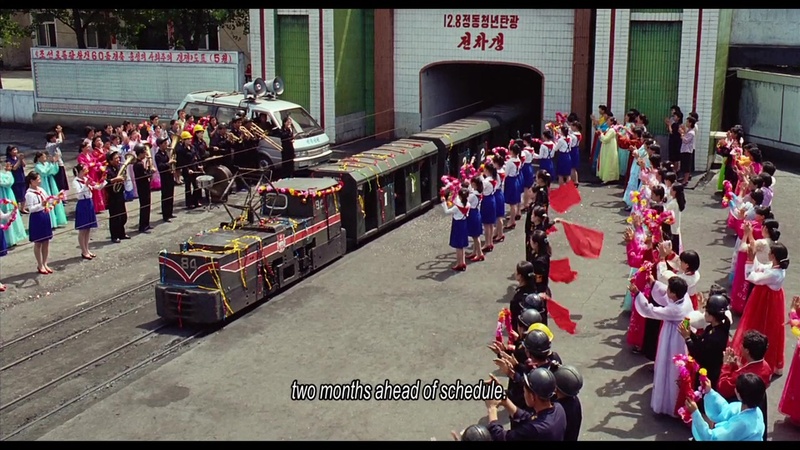 It’s interesting to see how the DPRK Juche philosophy plays out in a standard Western style rom com. 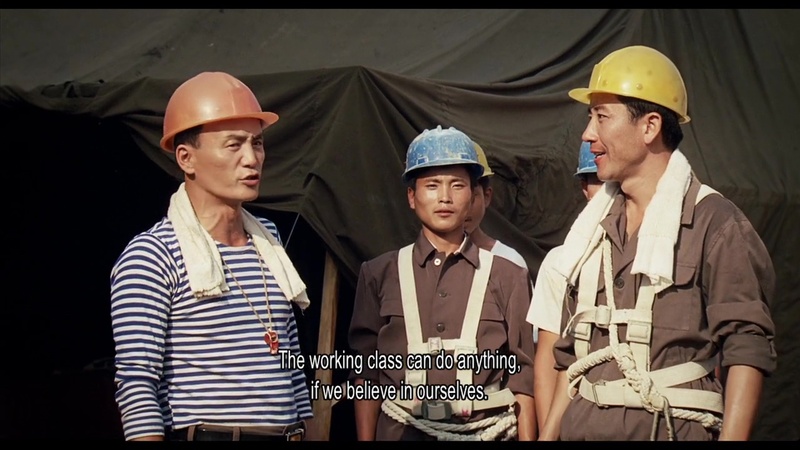 And it’s a surprisingly fun blend of socialist work ethic and follow your dreams movie magic. The challenges and obstacles that Yong Mi confronts are usually resolved through her persistence and hard work, with an emphasis on teamwork and sacrificing individual glory for a greater goal. Her clashes with the leading man start to settle once he respects the potential of a working class person. At a point when she feels like she should give in, colleagues and friends turn up to cheer her on, all feeling that her achievement will be their victory. Sure, some scenes lay it on a bit thick but overall the tone is cheerfully naive and earnest. 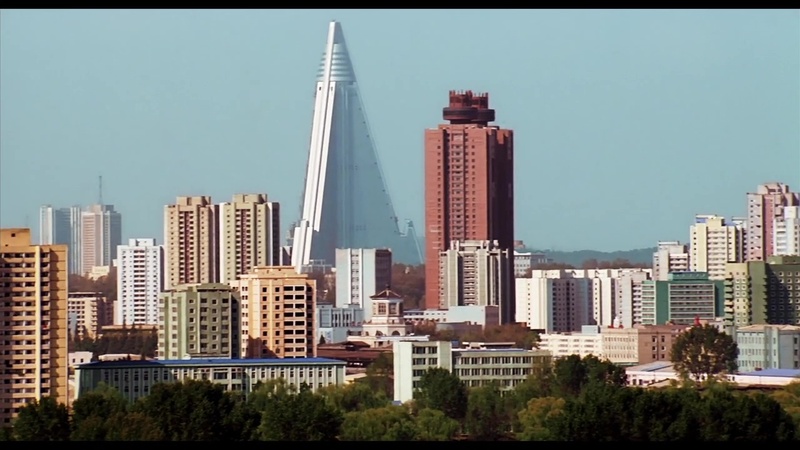 I holidayed in the DPRK a couple of months ago and despite the extremely different way of life and society there, found many of the people I met to be warm, often funny, and very much my cup of tea. So I think the film strikes a chord because I could relate to some things and others reminded me of places or things I saw on my trip. The colour palette and the slightly retro look of the city suits the story too. 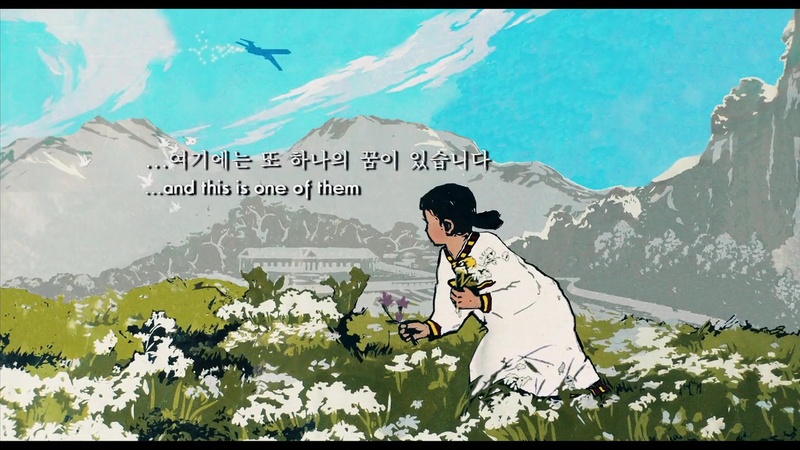 And the use of animated sequences in some transition scenes draws on the North Korean propaganda artistic style. Yong Mi gets a second chance because of all the people helping her. She is cheeky and smart but what they respond to is her effort and determination, not just her smile and jokes. She might have her head in the clouds but her work teams hit their targets and she contributes to their achievements. She uses her wit and charm to overcome obstacles and I liked how people would find a way so everybody could win. 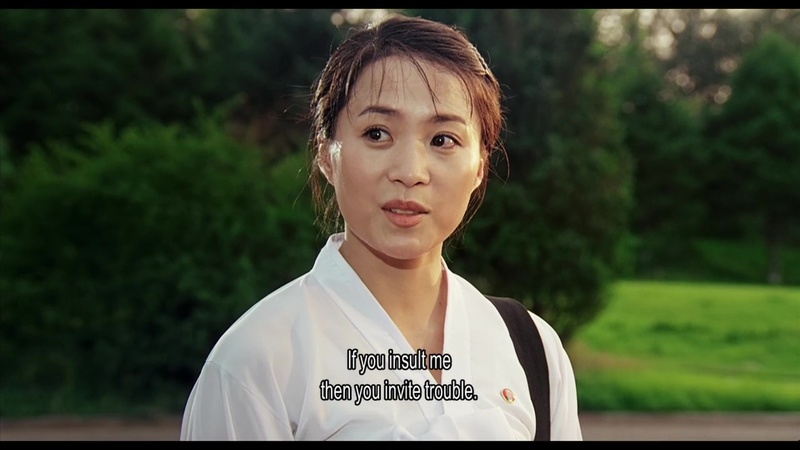 Ha Jong Sim is likeable and invests Yong Mi with energy and warmth, I could see why people liked her. 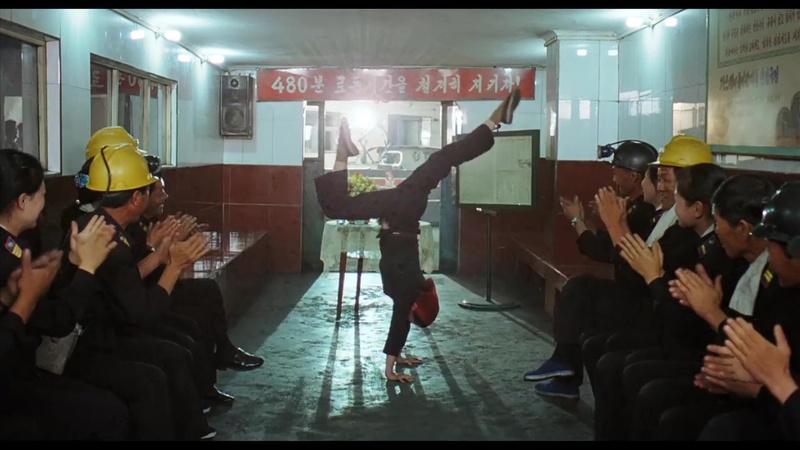 She is a model worker and when her boss Commander Sok Gun says they should put on an acrobatics display with her teaching the workers, she throws herself into the practices too. I absolutely love that her way of putting Pak Jang Phil back in his box is by challenging him to a cement mixing contest. 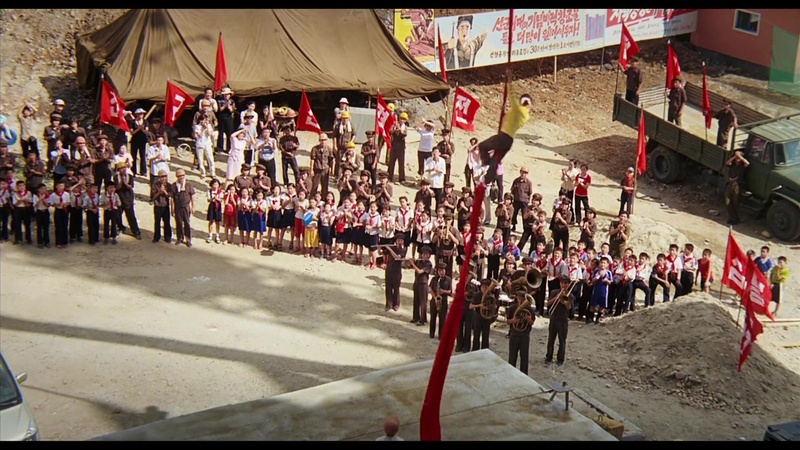 Commander Sok Gun (Ri Yong Ho) tells his brigade that putting on a show for the workers festival is about the team not the individuals, and that everything can be achieved with self-belief and revolutionary spirit. 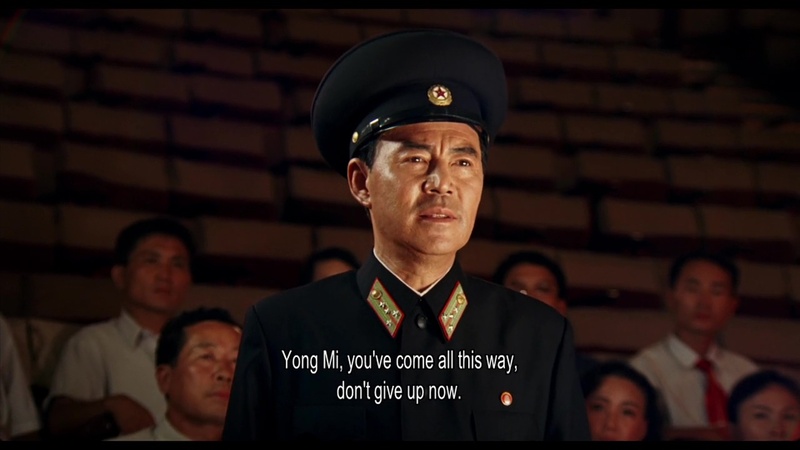 He goes out of his way to help Yong Mi achieve her dream because he is a lovely person but also because he doesn’t like the snide elitism of some of the circus performers. He will support the working classes and show how much potential they have. He’s a great boss for Yong Mi and his salt of the earth calm is a good foil for her more emotional character. 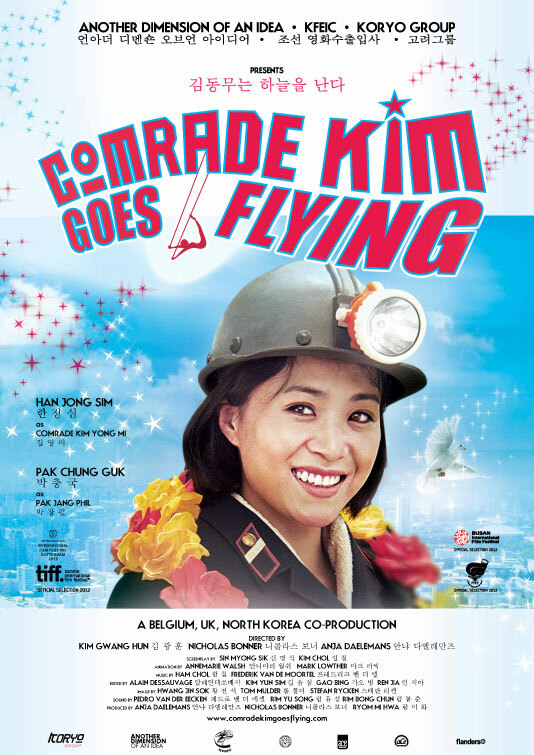 Pak Jang Phil (Pak Chung Guk) is Ri Su Hyon’s trapeze partner, going through a crisis when she retires. He is obviously living a fairly cushy life and believes his skills make him special. He resists helping Yong Mi at first but of course her grit and talent opens his eyes to considering her as a possible performer. And there are the stirrings of a romantic relationship. But I kept telling her she could do better than him. He is very much a pampered city boy who has to learn some respect for the people whose toil allows him to live so well. I think he could afford to put in a bit more effort before she decides he has learned his lesson. 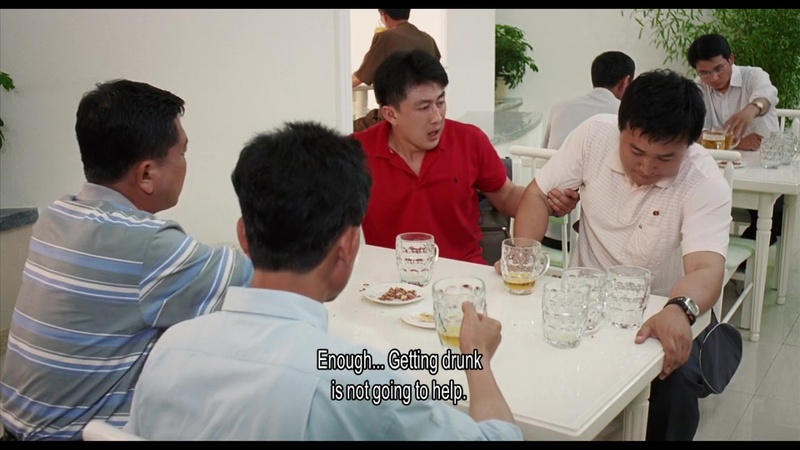 The support cast are all good and represent all the essentials in a social drama – family elders, best friends, work mates, and various authorities. 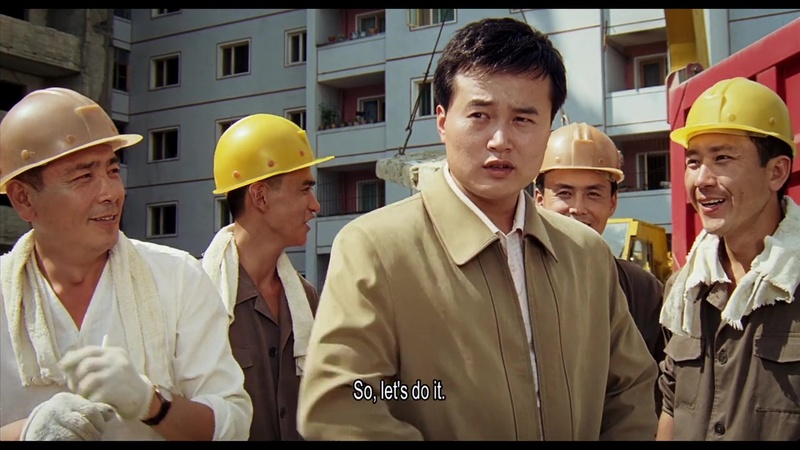 Kim Son Nam had that thankless role of film dad who doesn’t support his kid until right at the end, but his reservations were because he was worried for her. So he was a wet blanket, but a well-meaning one. 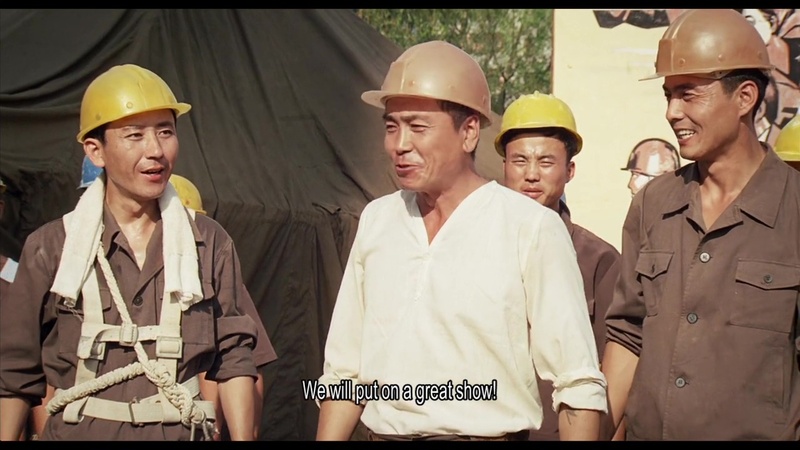 I particularly liked gruff Kim Chol as the foundry foreman, Sin Gwang Son as the nerdy youngest steel worker and his cute fanboying over Yong Mi, and Kim Song Ran as Yong Mi’s bestie. This is not a film that will rock your world, but it’s a competent and highly enjoyable movie about following a dream. I watched it in a week when I needed some good news, and this put a smile on my face. 3 ½ stars!